Learn the language of wine! Do you ever find yourself searching for the right word to describe what you’re tasting in your favourite glass of red? Is reading a wine review like reading a foreign language? 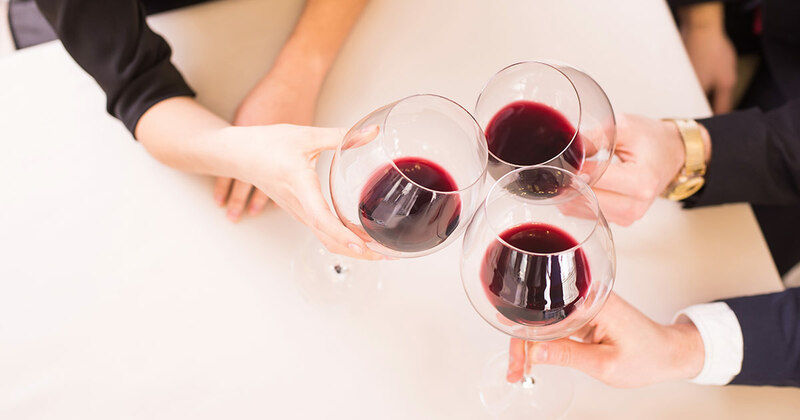 Learn some basic wine terms and you’ll be a fluent drinker speaker in no time! Acidity is naturally found in every wine, however it is more pronounced in some varietals, styles, or vintages than it is in others. Acidity is a way to describe a wines sharp or crisp characteristics and can easily be distinguished by the tingling sensation that occurs on the front of your tongue and in your cheeks. Acidity is often described as low when the wine is silky and smooth, and high when the tartness make you pucker! Aromas are scents in the wine that come from the grapes. A wine can be described as being aromatic if it displays intense floral or fruit forward notes. And if you want to get real fancy… see bouquets below. Bouquets are scents that come from aging. A bouquet only develops after fementation has ended and continues to develop as the wine ages. Some examples of bouquet scents are dried fruit, leather, caramel, leather and dark chocolate. A wine’s body refers to the perceived weight on the palate. A common way to think about the difference in body weights is to think about light, medium and full bodied wines in relation to skim milk, whole milk, and cream (respectively). All belong to the same category but hold different weights or thickness levels on your tongue. Flavours differ from aromas as the come from taste rather than smell. When you are identifying flavours in wine they come from what you can sense on your palate rather than from aroma alone. Tannin is the bitterness or astringency that contributes to a wines weight or mouthfeel. It is a naturally occuring component of wine that comes from grape skin, seeds, stems and oak barrels. Tannin can sometimes be confused with acidity due to its astringent nature, but can be distinguished by the taster by being bitter rather than sour. Tannin also plays a factor in determining the agibility of a wine.